Full House now has a BRAND NEW Facebook page. Join us for story updates, give aways and Full House! fun. Click here! As the puppies excitedly wagged their tails, me and my sister Caroline were in our element. Available now, this new range is perfect for kids - and grown ups too! 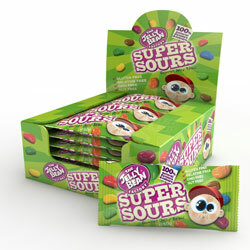 Super Sours (50g, RRP 79p and 113g, RRP £1.79) come in ... fruit-busting flavours that include Sour Apple, Sour Lemon and Lime, and Sour Cranberry & Apple. This week we're loving... PG tips! PG tips continue to use their extensive tea knowledge to bring even more delicious variants to the kettles of Britain. In addition to our famous PG tips cuppa, we have a great range of teas from Decaf to our Premium Range to suit every taste. The PG tips Premium range was launched in 2011 and new to the range for 2013 is The Rich One - a blend of the finest East African, Assam, and Ceylon teas with a warm golden colour, The Rich One offers a complex, aromatic taste for consumers looking for a richer-tasting tea. Visit www.pgtips.co.uk for more information.